Yesterday, I got a late start for what would turn out to be a great hike. I hit the trailhead a little bit late, and considering that I have not done as much hiking as I want this year, I was unsure as to how far I would hike. 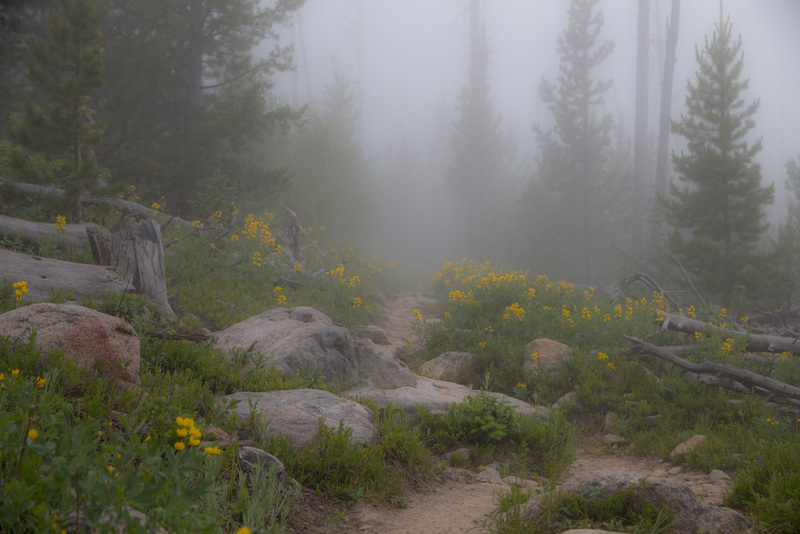 The clouds were hanging low, no more than 100 feet above the Finch Lake Trailhead as I began. For the first half of the day, I was hiking in the clouds. It is a rather surreal feeling at times, as the clouds roll through the tress and give everything an eerie cast. By midday, I reached Finch Lake. I had only seen two backpackers coming down, and was looking forward to the solitude of the lake. However, I could hear a large group of young teenagers as I approached the lake. Fortunately, they headed back down after a few minutes, and I was able to enjoy the lake by myself. 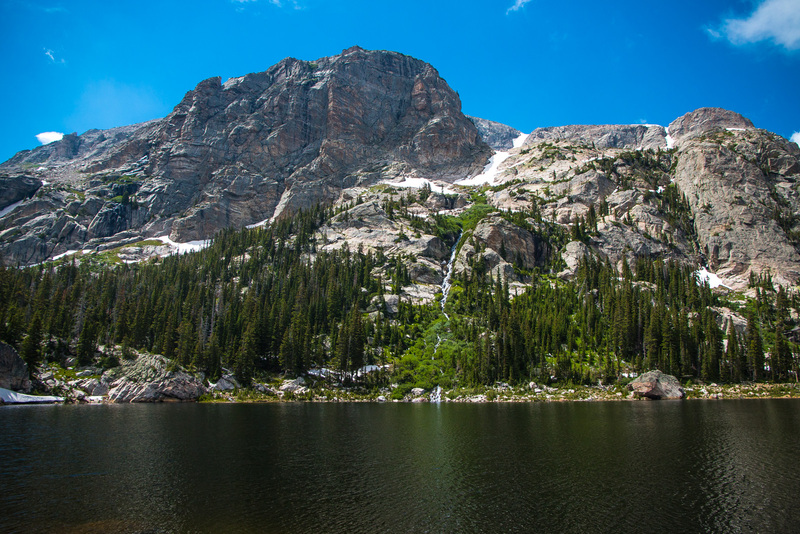 I pushed on toward Pear Lake, unsure whether snowdrifts might hinder my progress or not. Fortunately, there were only three large drifts on the final approach to the lake. As always, the view of Pear Lake and Copeland Mountain is breathtaking as you crest the hill and come through the brush. Another group of very well behaved teenagers with a group from Michigan was having lunch by the lake. They asked me to join them, and I enjoyed a chat with the lead counselor. This group was also from Michigan, and was on a six week tour of National Parks with about ten high school sophomores. I spend almost two hours wandering around the lake, photographing, and just enjoying the stunning scenery. As always, I really didn’t want to leave, but without any overnight gear, I was forced back down the mountain.